Wednesday, 11 April: Early arrivals, Airport Holiday Inn Select provides free shuttle from Airport. Evening: hospitality room open for registration & refreshments. Thursday, 12 April: More arrivals and check-in at the hospitality room. Golf for early arrivals: schedule T times at Hospitality room on Wednesday. at Wilkins' home, 106 Luther Dr.
Friday, 13 April: Golf and sight seeing: T times and sight seeing destinations TBA. Luncheon hosted by Ron & Camelia Ray at Westin Hotel Riverwalk: Approx 1330 hrs. Evening event? Dinner or River Walk event TBD (suggestions requested). vicinity of the Memorial Civic Center. Stroll to Mercado for some Old Mexico flavor and lunch at "Mi Tierra." Cocktails at Hospitality Room: 1800 hrs. Sunday, 15 April: Breakfast/Coffee in hotel restaurant, farewells, & departure. 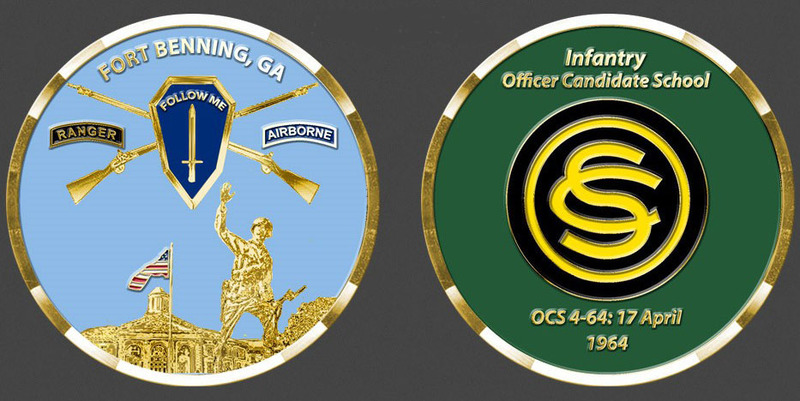 Begin planning for our 50th to be held at Columbus/Fort Benning, GA.